The Samek/Brannick Duo explores the rich and eclectic range of music written for clarinets, saxophones and percussion with enhanced digital and electronic effects. 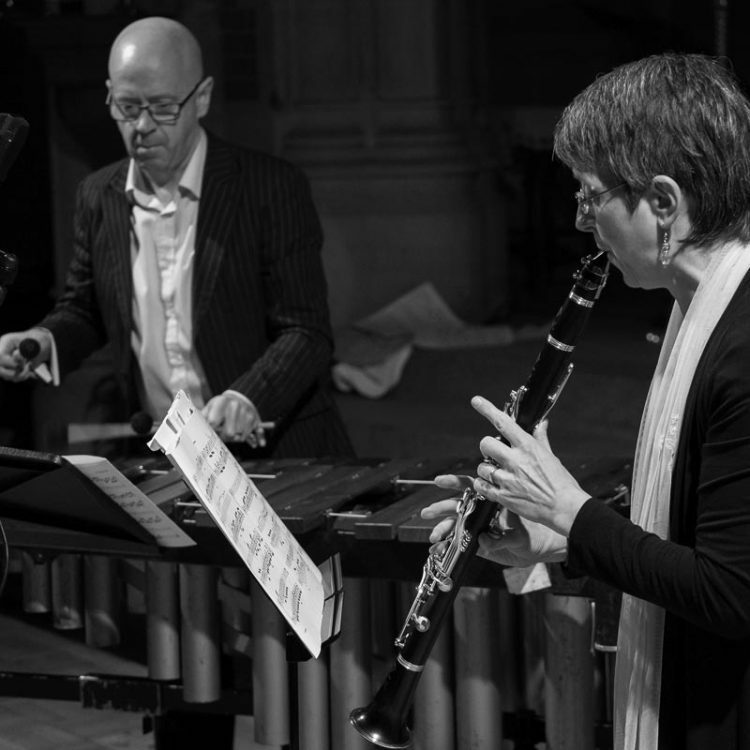 This dynamic duo which combines Victoria’s specialism in the area of contemporary music on a range of clarinets, saxophones and electronics, and Chris as Britain’s foremost contemporary percussion soloists and chamber players. Together they offer sensitive and well-crafted programmes within a fascinating range of repertoire including Thea Musgrave’s Narcissus within a new programme soon to be launched:. ‘Narcissus would be worth queuing for. Musgrave excels in musical drama.’ BBC Music Magazine.